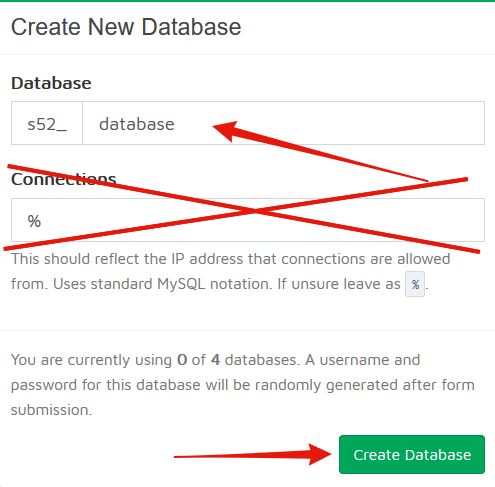 Step 1) MySQL Databases are a form of online storage some plugins use to store data much better than storing it in a config for example. These databases are stored on our servers and are provided free of charge with your existing Minecraft server. 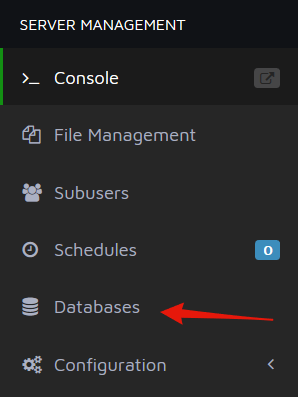 Step 2) Fill in the database textbox with the name you wish to give to your database and click Create Database, you don’t need to worry about the Connections section. Step 3) Then your database will appear in the list. It will have your database name and username listed, the password, however, the password will be hidden out. - To reveal the password just click on the dots icon and it will appear, be sure to never share this password with anyone unless you trust them, as with this password they can delete any data stored in that database.